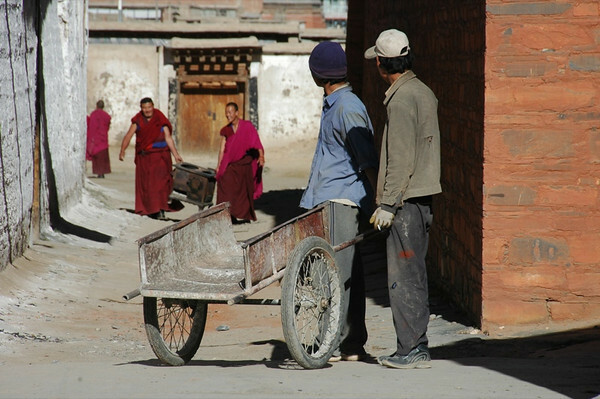 Our visit to the village of Xiahe in China's Gansu Province offered us a glimpse of Tibetan life (outside of Tibet). 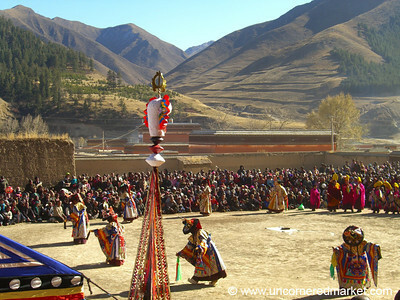 Images feature a Tibetan festival and monastic winter opera (Cham) at the Labrang Monastery. 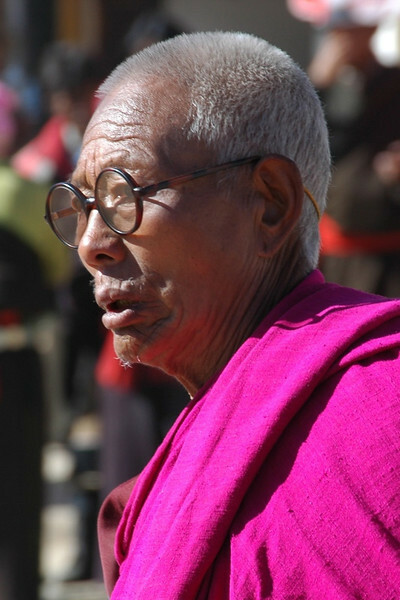 Read more about our visit to Xiehe during a Tibetan Buddhist festival. 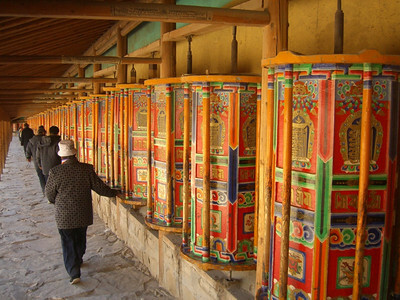 Buddhist pilgrims walk the pilgrimage circuit around Labrang Monastery in Xiahe, turning each of the thousands of prayer wheels along the way. 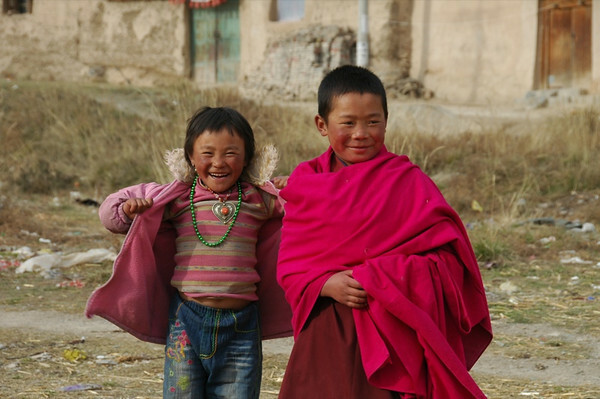 The color and life we saw at Xiahe was like nothing we had seen during our time in northern China. Read more about our visit to Xiahe, China. 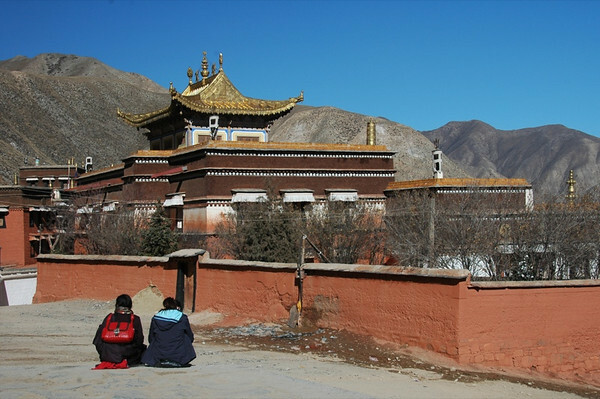 Two Tibetan pilgrims take a rest outside of Labrang Monastery in Xiahe, China. Read more about our visit to Xiahe, China. 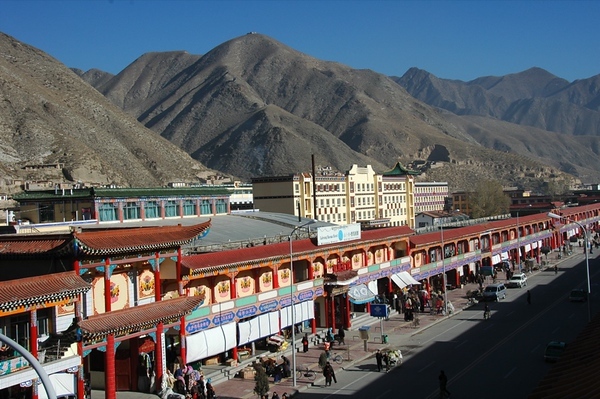 A view of the main street in Xiahe, China. 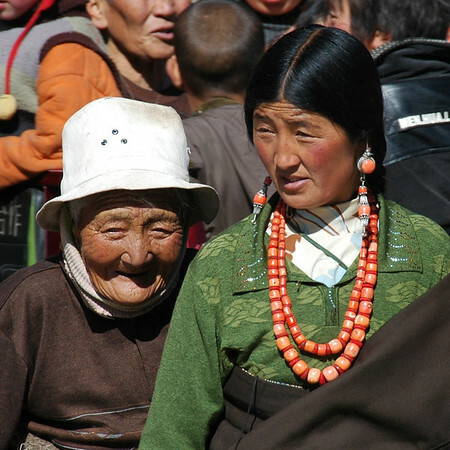 The population is approximately 50% Tibetan renders the town colorful and visually spectacular. 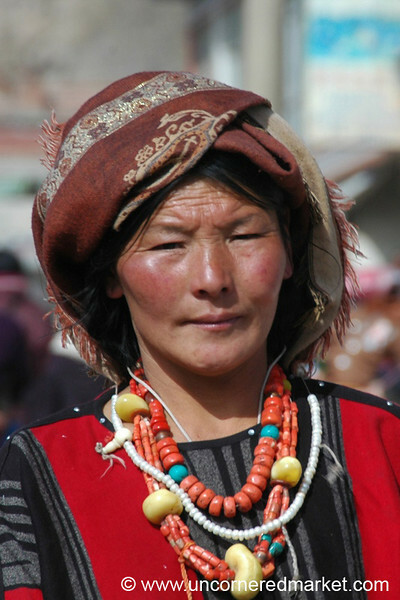 The remainder of the population is Han and Hui Chinese. Read more about our visit to Xiahe, China. 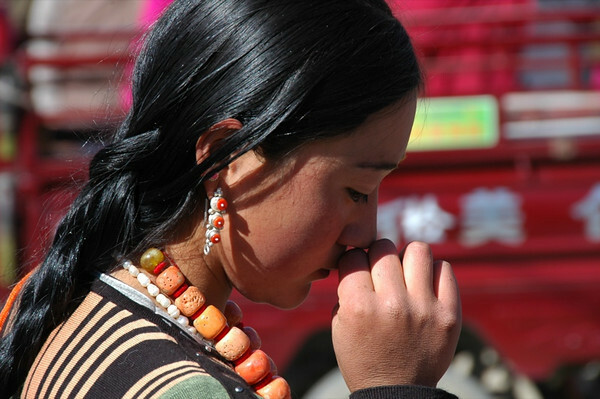 Tibetan Woman. Taken in Xiahe, China. Read more about our visit to Xiahe, China. 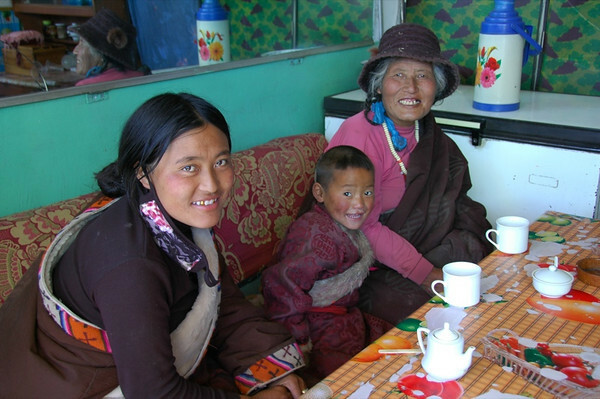 Three generations of Tibetans take a tea break at Gesar cafe in Xiahe, China. Read more about our visit to Xiahe, China. 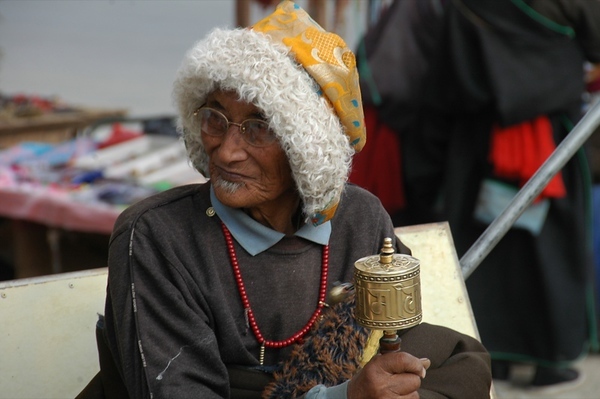 Taken during a Tibetan festival at Labrang Monastery in Xiahe, China. Read more about our visit to Xiahe, China. and some attractive geometric designs as well. 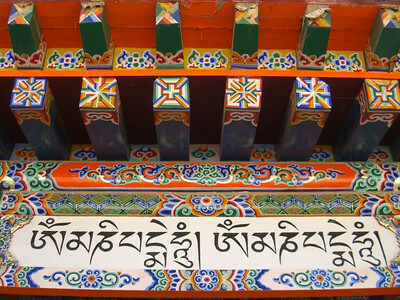 Taken at Labrang Monestary in Xiahe, China. Read more about our visit to Xiahe, China. 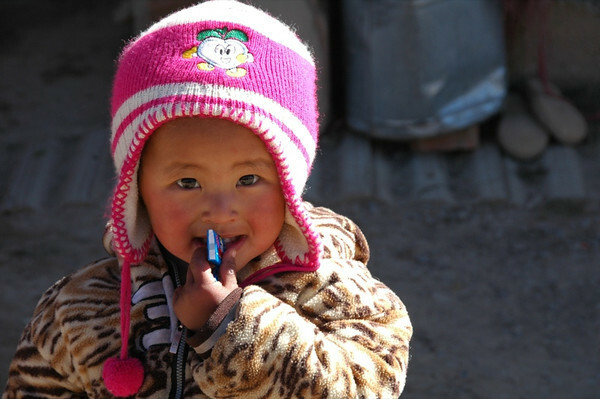 Another cutie in Xiahe, China. Read more about our visit to Xiahe, China. Taken in Xiahe, China. Read more about our visit to Xiahe, China. Thanks to the comments below, we learned that these are not Buddhist monks, but are Ngakpas. Read the comments to learn more about them! 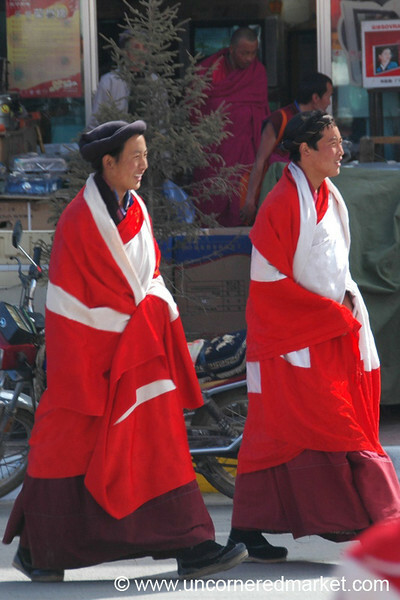 They wear bright red robes and let their hair grow long and tie it up in braids top of their heads. Taken in Xiahe, China. Read more about our visit to Xiahe, China. 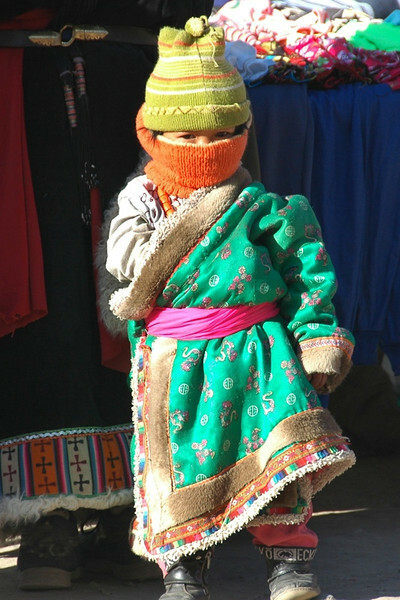 This Tibetan girl is ready to take on the chill...Taken in Xiahe, China. Read more about our visit to Xiahe, China. 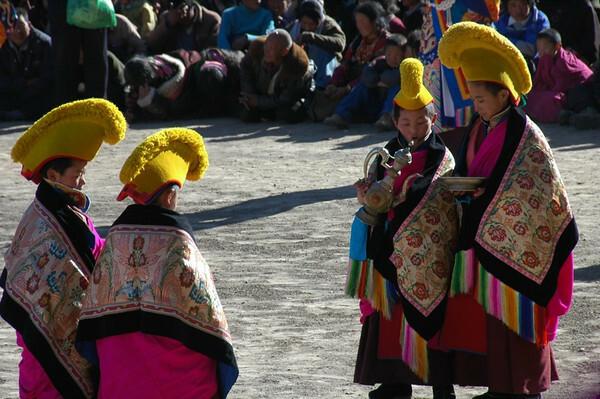 Finally, the novices get to do their bit in the Tibetan Opera. 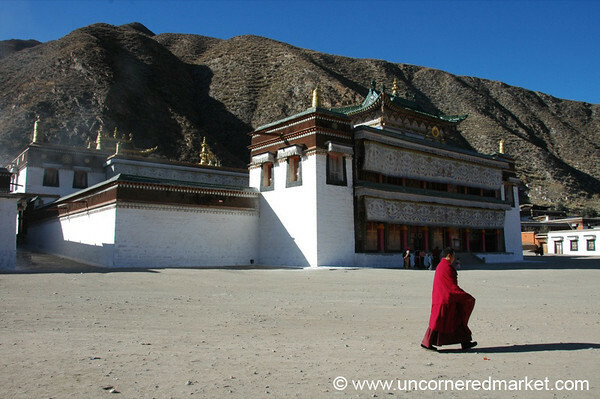 Take at Labrang Monastery in Xiahe, China. Read more about our visit to Xiahe, China. 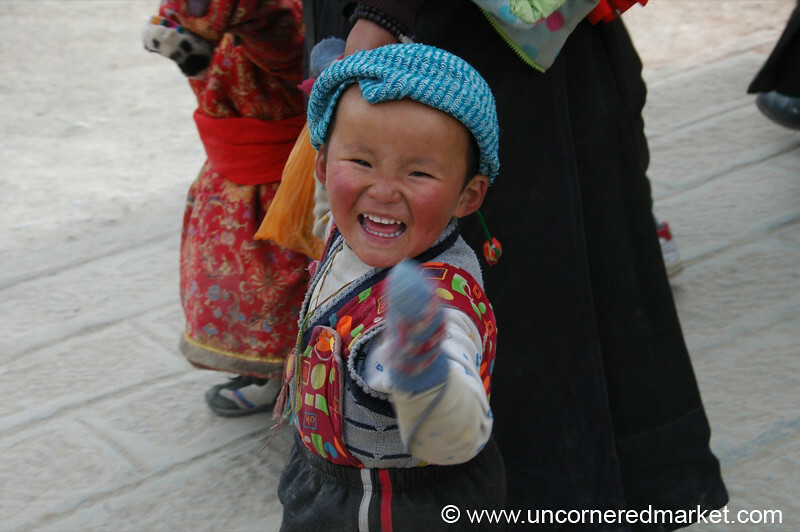 A novice monk and little girl hang out at Labrang Monastery in Xiahe, China. Read more about our visit to Xiahe, China. 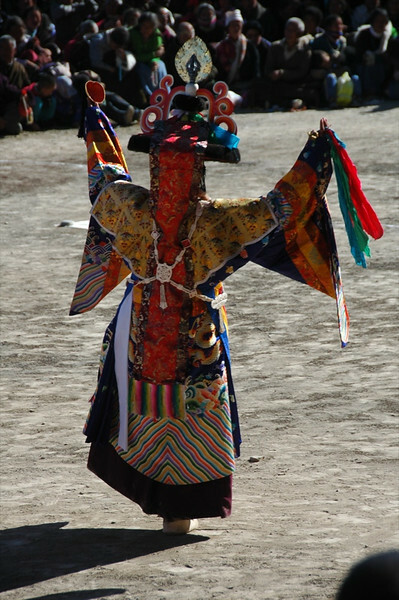 The actors in the Tibetan Opera were colorfully and elaborately decked out and moved slowly and deliberately. Taken in Xiahe, China. Read more about our visit to Xiahe, China.